Every month, we offer a contest for our subscribers and Facebook likes. We want to increase our ability to reach the public and we put our money where our mouth is! 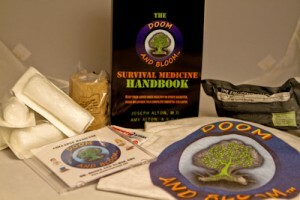 Enter for the giveaway by subscribing to our email or post feeds on our Doom and Bloom ™ FB page, website, or YouTubeChannel (drbonespodcast). Each action is counted as one entry. Good luck!